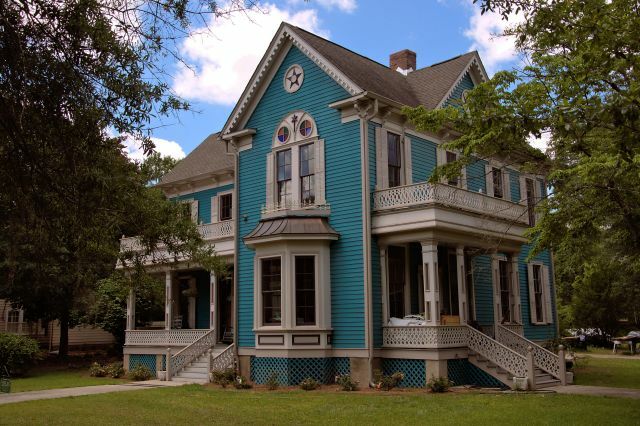 Thought to have been designed by architect J. H. Russell for Dr. Nathaniel Pohill Jelks (1845-1911) and his wife Kathleen Lamkin Jelks, this house has always been one of my favorites in Hawkinsville, even before its restoration. I worried for many years that it would be lost, as it had become weather-worn and abandoned. 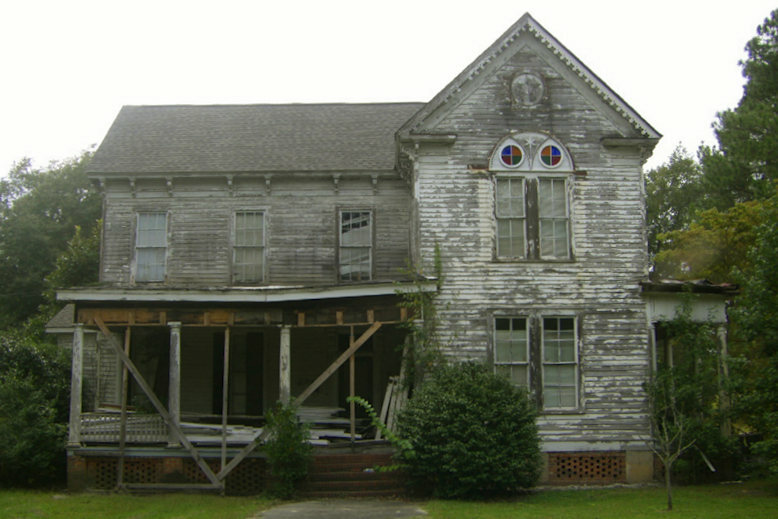 The present restoration was done using a photograph provided the present owners by descendants of Dr. Jelks. Here’s a photograph I made of the house before restoration. It was made in 2008. My grandmother, Georgia Jelks McGriff, was the youngest child of Dr. Jelks. When I was growing up, her sister, Ruth Jelks, lived here and my grandparents lived next door. My cousins and I spent many hours playing here. Aunt Ruth was one of seven children by Dr. Jelk’s first wife, Kathleen Lamkin. Grandma’s mother was Katie Pate Jelks. I believe that my great-grandfather’s mother was Mary Polhill Jelks. The house is on the corner of Jackson and Merritt Streets. Hi Brian, my Mama was from Hawkinsville and I remember her always saying we were kin to the Polhills and her genealogy book says the Jelks also. She was a Pate, her Mama was a Taylor and her grandmama was a Brown. Some from marshallvile I THINK. I love ❤️ your photographs! Thanks, Rebecca! We may be related. I’ve got Pates and Browns from all over the Marshallville area in my family tree. Please tell me the street name this house is on. I’m not sure of the street name, Donna, but it is on US 129, just south from the McDonald’s heading toward Abbeville. Any ability to post a before-and-after since this sounds like a huge restoration project? I have before pictures throughout the restoration. I go to different towns taking pictures of the towns and homes as a hobby. Not to be a smartass, but is it Dr. Jelks or Jenks. Is this Jelks related to the Dr. Jelks who used to practice in Tatnall County and delivered me 67 years ago? It’s JELKS. It’s already been corrected, and no, I have no idea if he had any connections to Tattnall County. Big house for its day ! Thanks Brian. Beautiful house. 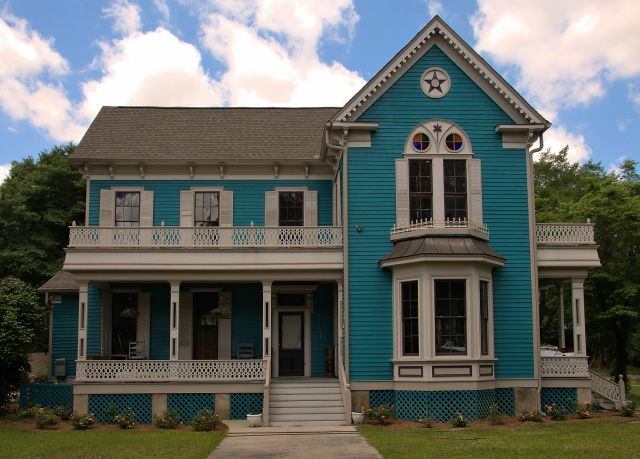 I am often pleasantly surprised how much sophisticated architecture beyond Greek Revival can be found in small southern towns if you just slow down and look around to see it!